If you like a view you'll love this lake front property. 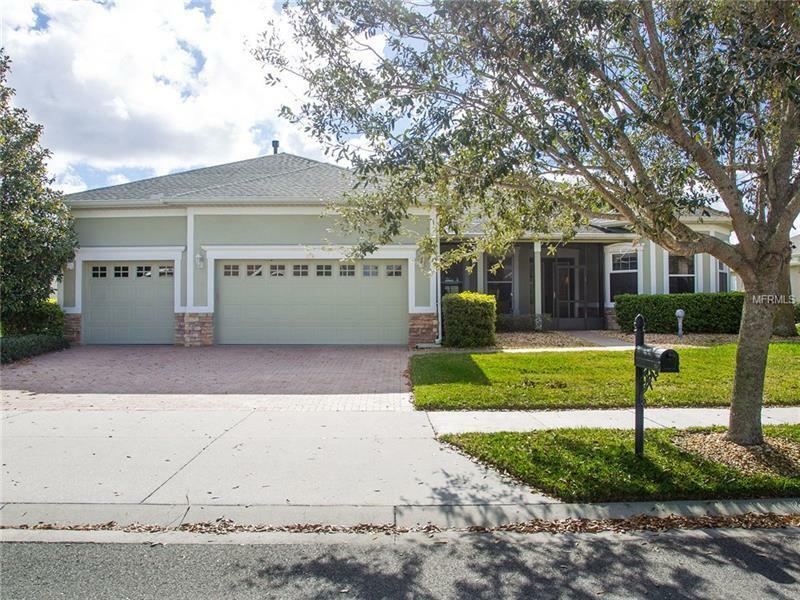 This 3 bedroom 2.5 bath with den and 3 car garage with 11 foot high ceilings throughout. This is a open floor plan with great view from kitchen to family room. The kitchen cabinets are 42" with solid counter tops. The family room has a tray ceiling. The family room has pocket doors that disappear for a great view of lake. The master suite is very large with private master bath with dual sinks and separate shower. The other bedrooms are located on the other side of home. The Florida room has been expanded and enclosed with separate A/C. The club house is 57000 sq. ft. with ball room restaurant tennis courts indoor/outdoor swimming pool. card rooms and so much more. So what are you waiting for.